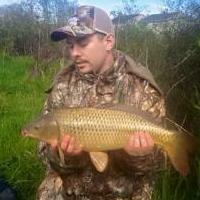 Your name: Kevin Aspinwall Your CAG forum name: Sorter Your state or province of residence: Washington State Fishing in Washington State. Thanks for the info Cannonball. I saw your other thread from awhile back before posting this, its a shame really. But I guess according to some estimates the total number of Carp Anglers in the US ranges from between 4000-20000 so I understand why manufacturers are not producing them when its likely only a tiny fraction of these anglers are interested in custom rods of this sort. It might even be cheaper to import for a company and forego the development of a mandrel, and the research that goes into making a new rod. Especially when the market is going to probably be sub 200 rods any given year in the US. Any one aware of any retailers, or manufacturers in the United States that sell Carp Rod Blanks. IE 12'-14'. 2-4 piece rods, that are rated to cast up to 4 ounces?